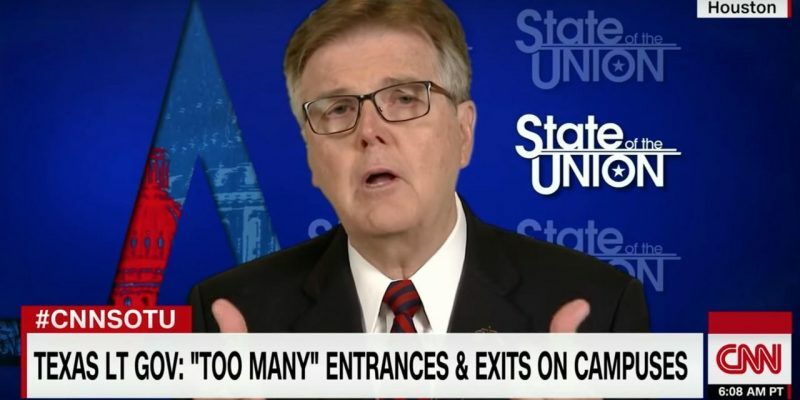 Texas Lieutenant Governor Dan Patrick (R) responded Sunday to the high school shooting in Santa Fe, Texas by pushing for arming teachers and reducing school entrances. The former State Senator argued that the plague of school shooters isn’t just about guns, “it’s about us”. “We have devalued life, whether it’s through abortion, whether it’s the breakup of families, through violent movies, and particularly violent video games which now outsell movies and music,” he said. Texas maintains a school marshal program which allows teachers to be armed but leaves the final say with the school board and superintendent. Governor Abbott and Senator Cruz have long been advocates of such policies.